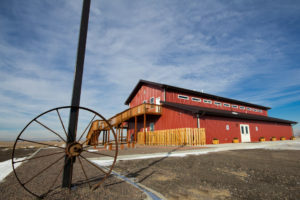 Have you heard about the BRAND NEW Big Red Barn on the Plains? Aside from being a premiere wedding venue on the plains, we are also looking for your help to grow our business while giving you some cash for your efforts! Host your wedding or event here and you will be automatically entered into our referral program! You will receive a special referral code for you to give to your friends, families, co workers, WHOEVER! What a great wedding gift to a friend would it be to help your friend save on her venue costs? Win, win, WIN, are we right? Email [email protected] to set up an appointment time for a tour or message us via our Facebook page. Every bride touring gets a sample of free organic skin care made right here in Colorado! *The referring bride will receive her $100 once final payment is made by the referred bride. The referred bride will receive $100 off her last payment. Previous Post What has our grooms excited and our brides swooning? Next Post What does BYOB mean at Lily Farm Fresh Event Center?